This photo is in front of Akihabara station in Tokyo. Akihabara is always crowded. This town is famous city for Manga, electrical appliances, video games. 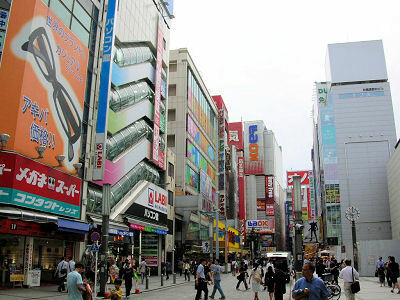 But the name of Akihabara is related with Buddhism. Akihabara can divide Akiha (Akiba) and Bara (Hara). Akiha is one of the Deity’s name, and Hara means field. In 17th century, Tokugawa Ieyasu was appointed to SHOGUN. And he brought Akiba Daigongen shrine from his hometown to here. People called this place Akihabara since this event. 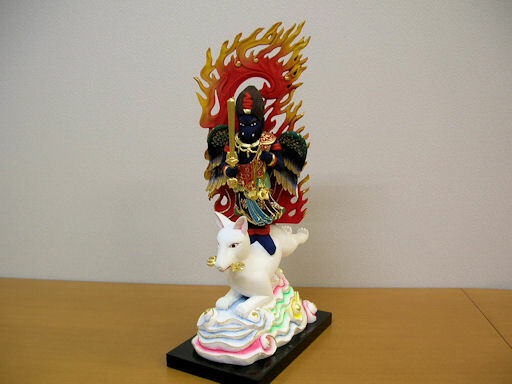 Akiba Daigongen is one of the Deity. Akiba Daigongen looks like Tengu (who has black crows’ wings). And he rides on fox. He is in charge of fire prevention. In Edo period in Japan, the fire often brought tragedy, because traditionally wooden buildings are many. So, Shogun brought Akiba Daigongen from his hometown. For that reason, Akiba daigongen was believed by successive Shogun. *…Akiba Daigongen and Izuna Daigongen are the same looks. ← Daruma — Important Buddhist monk. A founder of ZEN!